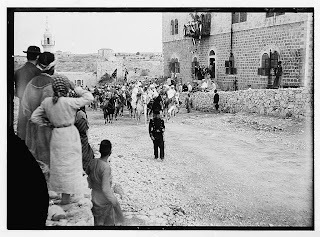 Picture a Day - The Holy Land Revealed: A Mystery Picture of a "Triumphal Arch in Jerusalem" -- Where, When, Why? There are many pictures in the American Colony collection that are simply not well captioned. Kudos go to the curators at the Library of Congress for digitalizing and cataloging the 22,000 photos they received from a California old age home. But, in some cases, they may have had trouble putting all of the puzzle pieces back in place. 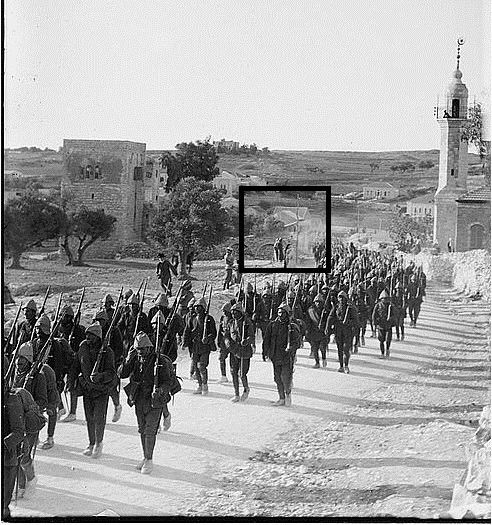 ﻿Here's an example of another mystery photograph that this website attempts to decipher. 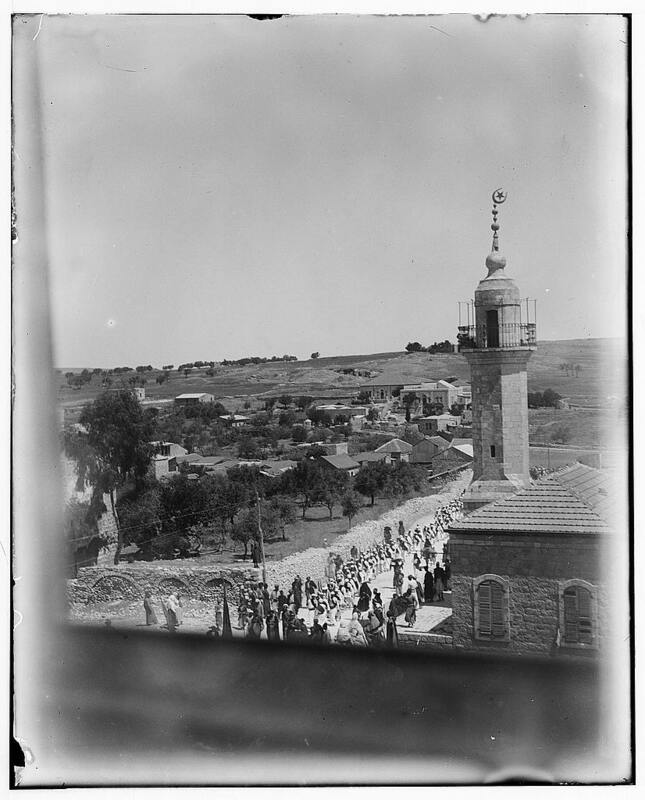 The photo is set somewhere in Jerusalem, sometime between 1898 and 1946, the period when the American Colony's photography department was active. The photo is accompanied by a second photograph with the same caption "Triumphal arch" and the dates of 1898-1946. 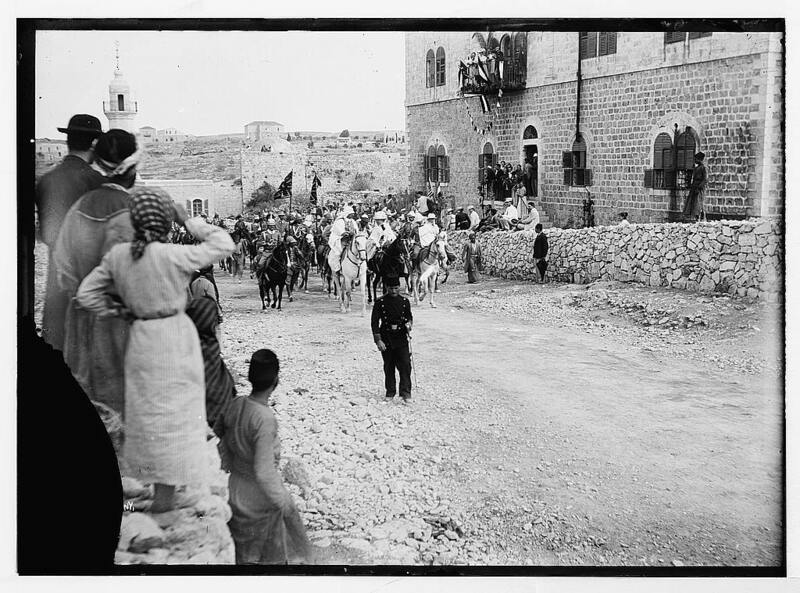 The Emperor's arrival in Jerusalem, riding on his white horse. 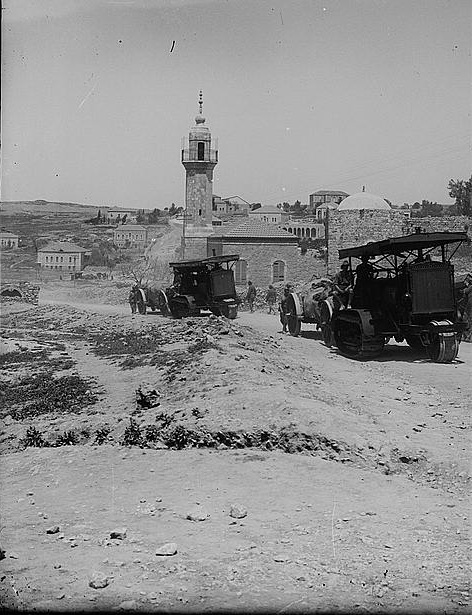 The building on the right is the American Colony's residence. Note the minaret in this photo and the second "Arch" picture. View another picture of "The Kaiser in front of our house." 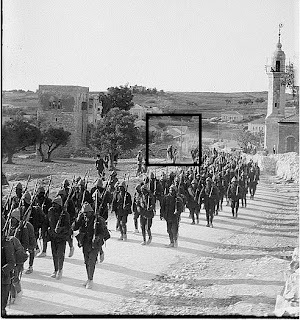 Now we fill in the blanks: The picture was taken in 1898. The arch was built in honor of the Emperor of Germany, Wilhelm II. 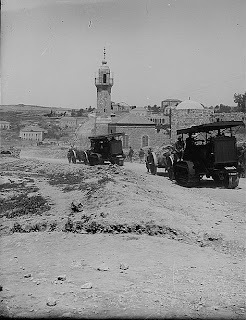 The location was Nablus Road, a few hundred meters north of the American Colony's home. 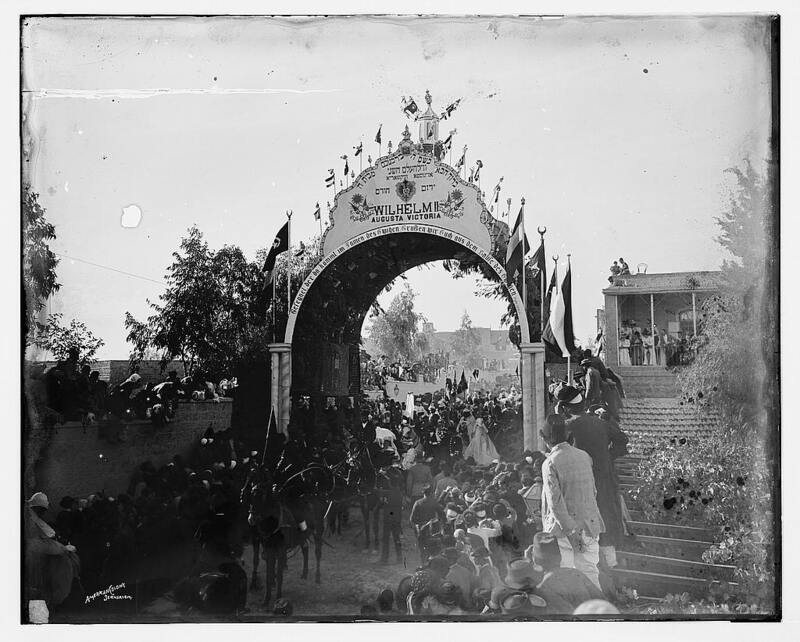 The second "Arch" picture was probably taken from the American Colony's upper floor and may be a photo of the Emperor's procession. 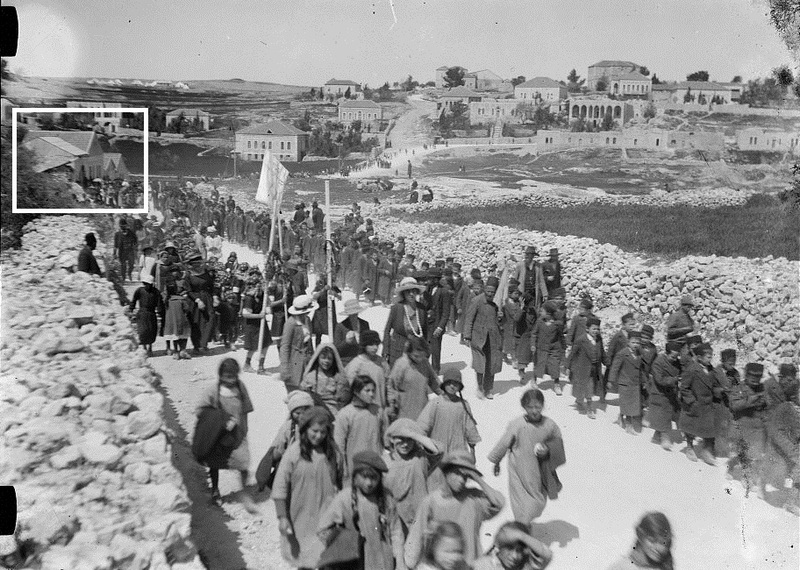 This website has published other photos of events on Nablus Road in a posting "Nablus Road: Where History Marched." 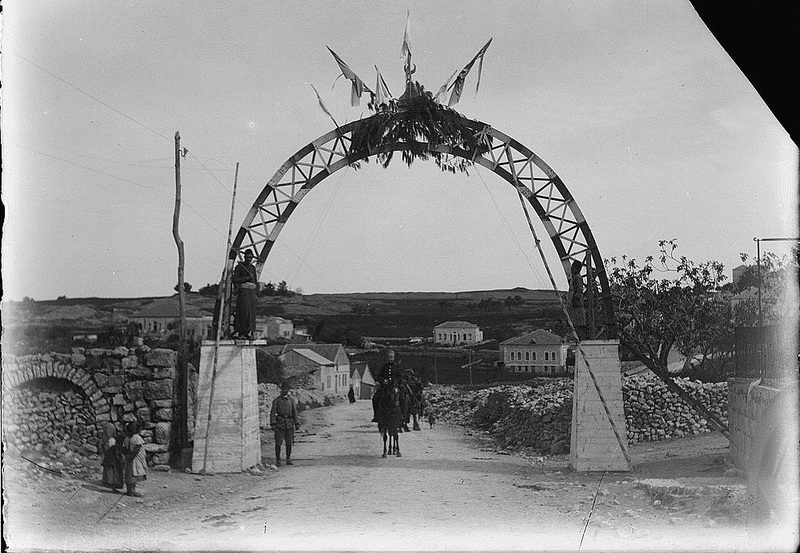 View the "Arch" picture below with other Nablus Road pictures. We have marked in a box a group of houses with distinct roofs in several of the pictures. Click on the picture to enlarge. Click on the caption to view the original photograph.